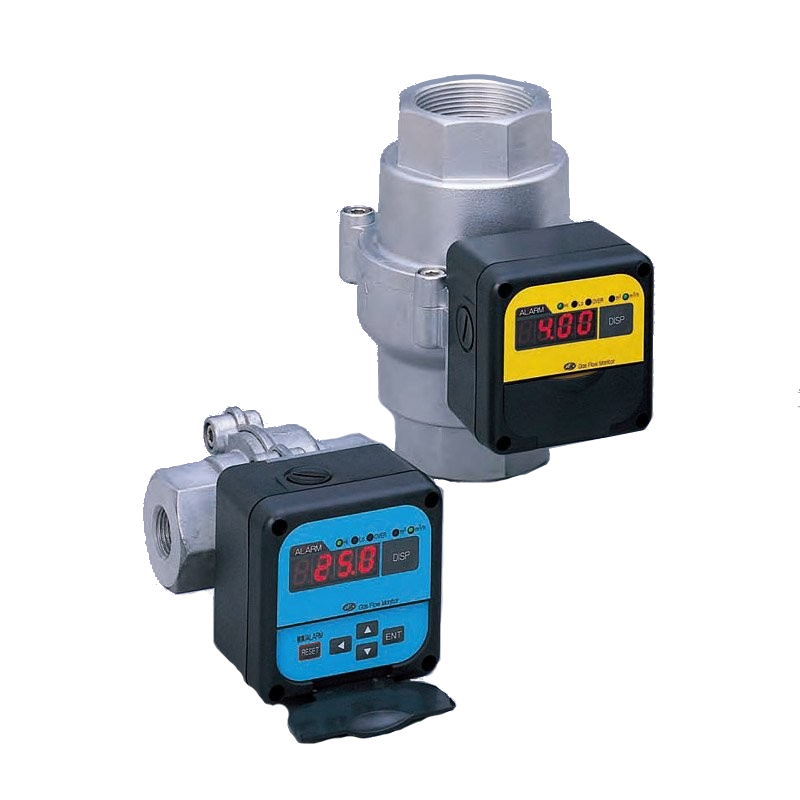 The CMG series of gas flow monitor with models for natural gas and compressed air are an efficient way to monitor gas usage. The CMG series offers a wide range of functions, such as instantaneous and integrated flow rate indication, and event output and analogue output. In addition to its wide rangeability, the CMG series is available in a variety of models for application to natural gas and air. It also supports air ratio control and energy management of burners.